TORONTO, March 27, 2018 – Welcome to the 15th and final edition of the weekly Woodbine Snowbirds Report, now in its seventh year, chronicling the winter adventures of Woodbine-based trainers and jockeys currently plying their trade south of the border. This week, we check in with trainer Malcolm Pierce, who recorded his first win of the winter with Noble Thought at Tampa Bay Downs on March 21. Pierce also sent out Everglow to a fifth-place finish at Tampa Bay Downs on March 23. Pierce has been based at Tampa Bay Downs for the second consecutive winter, recording a win and a third-place finish in 17 starts. Pierce said he felt his results could have been better this winter with some better racing luck. “We’ve had a lot of bad luck,” he said. “In Noble Thought’s second last race in the stake, a horse clipped heels and went down, basically right in front of him because he was coming from behind. He jumped over the jock and lost all chance I guess. At least he avoided stepping on the rider that was on the ground in front of him. Pierce said his two starters last week were likely his last starters of the winter at Tampa Bay Downs, as his focus turns to the start of the Woodbine season. While Pierce has made a stop over in Lexington, Kentucky for the Keeneland spring meet in years past, this year, he will be coming straight home to get ready for opening day on April 21. Pierce said the first group of his horses will ship in to Woodbine around April 7. In the meantime, Pierce will continue to train up his horses at Tampa Bay Downs. Pierce also has some horses based at Sam-Son Farm’s Florida base in Ocala. Among those horses getting prepared for the 2018 Woodbine season are Pierce’s Queen’s Plate nominees, Kitten’s Boy and It’s Fate. Following Kitten’s Boy’s third-place finish to Aheadbyacentury in the Coronation Futurity in November, the son of Kitten’s Joy got some time off before resuming his training. But Pierce said Kitten’s Boy suffered a setback over the winter, and is now getting back into the swing of things at Fair Hill Training Center in Maryland. 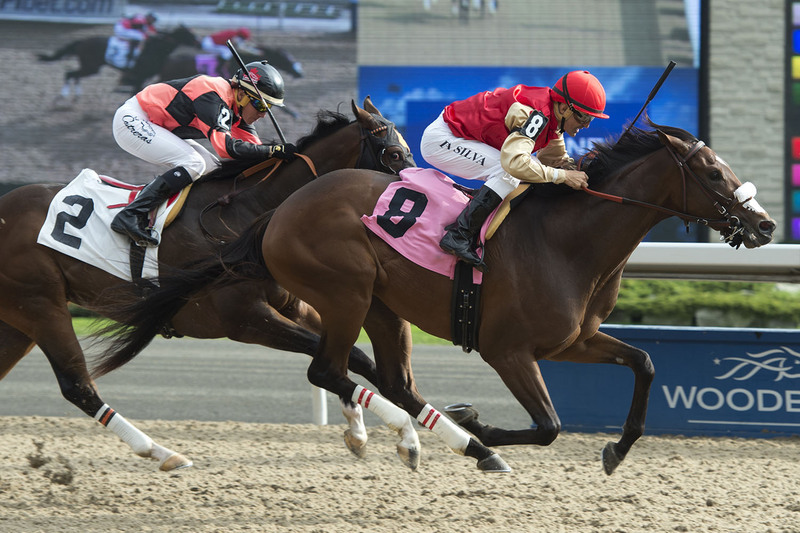 Pierce’s other Queen’s Plate eligible is It’s Fate, who capped off his 2017 Woodbine meet on a high note with a maiden win on November 4. Pierce said It’s Fate has been in regular training in Florida this winter. Pierce also has five fillies nominated to the Woodbine Oaks, including Split the Sea, Scarlet Flutter and Dark Mission. Two other Woodbine trainers made trips to the winner’s circle last week, and both trainers won four races each. Among Mark Casse’s four wins last week was a pair of stakes wins at Tampa Bay Downs from He’s Bankable in the DRF Bets Sophomore Turf Stakes and Noble Commander in the Ocala Breeders’ Sales Sophomore Stakes on March 25. Casse’s other winners during the week included Wicked Macho at Aqueduct on March 24 and Hayworth at Fair Grounds on March 24. Casse also had three stakes-placed runners last week, including Wonder Gadot, who finished third in the Grade 2 Fair Grounds Oaks on March 24, Shamrock Rose, who finished second in the Cicada Stakes at Aqueduct on March 25, and March to the Arch, who finished second to his stablemate in the DRF Bets Sophomore Turf Stakes at Tampa Bay Downs on March 25. In all, Casse recorded four wins, four runner-up finishes and five third-place finishes from 24 starts last week. Norm McKnight also picked up four wins at Oaklawn Park last week, which included victories by Zack Ridge Road (Mar. 22), Olivia’s Uncle (Mar. 22), Moon Gate Warrior (Mar. 24) and Telling You Twice (Mar. 25). McKnight also recorded a third-place finish from Niigon’s Glory on March 23 from seven total starts last week. No Woodbine jockeys made trips to the winner’s circle last week, but Luis Contreras came the closest, finishing second beaten a neck on two different horses in stakes events on the March 25 card at Sunland Park. Contreras finished second on Blameitonthelaw in the Bill Thomas Memorial Stakes and on Shining Source in the New Mexico State University Handicap. Contreras added a pair of third-place finishes, including a third on Criminal Mischief in the Purple Martin Stakes at Oaklawn Park on March 24, from 16 total starts last week. Sheena Ryan also had a narrow defeat last week, as Awesome At Last finished second beaten just a head at Tampa Bay Downs on March 25. Ryan had four mounts in all last week, finishing fourth on both Kaiser’s d’Light on March 23 and English Secret on March 25, and finishing sixth on Polo Art on March 25 in the Horse Races Now Sprint Stakes. Ismael Mosqueira recorded three third-place finishes from seven starts at Turf Paradise last week. Mosqueira finished third on Sea My Moves during the March 19 card, along with Here Comes Granny and Odin on the March 20 card. Kirk Johnson rode a pair of horses on the March 19 card at Mahoning Valley, including Father Dennis (sixth) and Kinetic Art (eighth). Gary Boulanger had one mount last week at Tampa Bay Downs, as The Stifler finished eighth on March 25. Rafael Hernandez rode Danish Dynaformer to an 11th-place finish in the Grade 2 Muniz Memorial Handicap at Fair Grounds on March 24. Here’s a look at how the other Woodbine trainers fared last week, in alphabetical order, starting with Kevin Attard, who sent out Ima Wildcat to a fourth-place finish at Gulfstream Park on March 24. Sid Attard hit the board with his only starter last week, as Gold Lace finished second at Gulfstream Park on March 23. Roger Attfield sent out a pair of runners last week, including Stormy Action, who finished fifth at Gulfstream Park on March 23, and Danish Dynaformer, who finished 11th in the Grade 2 Muniz Memorial Handicap at Fair Grounds on March 24. Amber Brewski finished eighth at Charles Town on March 23 for Michael Blake. Nick Caruso sent out three runners at three different racetracks last week, including Blue Marauder (DNF) on March 19 at Parx, Arctic Mia (fourth) on March 24 at Charles Town, and Two Cuties (seventh) on March 24 at Penn National. Gail Cox hit the board with her only starter last week, as Twice Around finished third in the Any Limit Stakes at Gulfstream Park on March 24. Riker finished sixth at Gulfstream Park on March 23 for Nick Gonzalez. Shane Learn sent out Lake Marion to a seventh-place finish at Tampa Bay Downs on March 24. Paula Loescher recorded three starts at Tampa Bay Downs last week, which included a third-place finish with World of Prospects on March 23. Loescher’s other starters of the week included Mr Harlan (fourth, Mar. 21) and Comedy Gold (fifth, Mar. 23). Friendly Giant finished fifth at Gulfstream Park on March 21 for John Mattine. Marilyn McMullen sent out Arizona Baby to a fourth-place finish at Laurel Park on March 23. Nick Mileni Jr. hit the board with his only starter of the week, as Devilish Style finished third at Penn National on March 23. Ault finished sixth at Gulfstream Park on March 24 for Pat Parente. John Simms recorded a runner-up finish from a pair of starters at Tampa Bay Downs last week, as Gasparilla Trove finished second on March 24. Simms also sent out Gold Shark to a fourth-place finish on March 21. Daniel Vella had a runner hit the board from three starters at Gulfstream Park last week, as Silver Wings Seven finished second on March 23. Vella’s other starters of the week included Monetary System (fourth, Mar. 21) and Wojtek (fifth, Mar. 23). Dash of Dazzle finished sixth at Tampa Bay Downs on March 24 for Michael Wright. 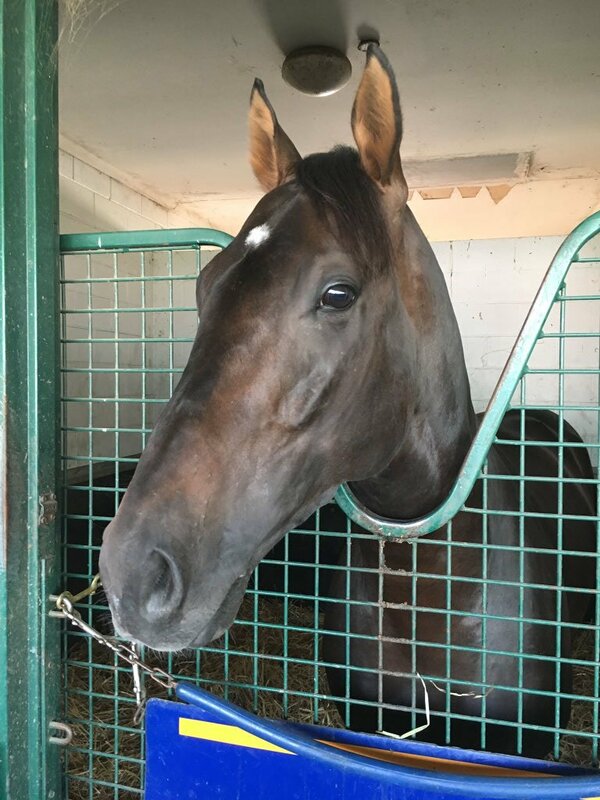 This entry was posted in Woodbine News and tagged 2018 Queen's Plate, Dark Mission, Horse Racing, It's Fate, Kitten's Boy, Malcolm Pierce, Mark Casse, Noble Thought, Norm McKnight, Opening Day, Queen's Plate, Scarlet Flutter, Snowbirds, Split the Sea, Woodbine, Woodbine Oaks. Bookmark the permalink.